What is country of domicile on Form I-864? 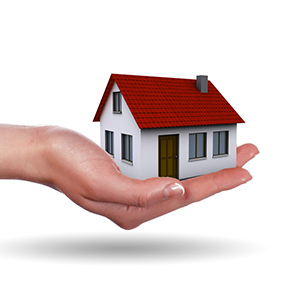 Country of domicile is the country where you make your permanent home. The sponsor who completes Form I-864, Affidavit of Support, must be domiciled in the United States. But sometimes an individual who is living outside the United States can claim a U.S. domicile for the purposes of preparing Form I-864. Generally, an individual must be living in the United States (to include the District of Columbia and U.S. territories) and plan to maintain a principal residence in the U.S. for the foreseeable future in order to claim U.S. domicile. It’s okay to move to another state within the United States; the United States continues to be your domicile. If the sponsor lives and works in the United States, the country of domicile is the United States. If the sponsor lives outside the United States due to temporary employment but has maintained a home in the U.S. and intends to return to that home, the country of domicile is generally the United States. If the sponsor lives outside the United States but intends in good faith to reestablish domicile in the United States no later than the date of the intending immigrant’s admission or adjustment of status, the sponsor may claim U.S. domicile. If the sponsor lives permanently outside the United States and does not intend to return to the U.S., the I-864 affidavit most likely will not be approved for the intending immigrant. A religious denomination or interdenominational missionary organization having a bona fide organization in the United States, if the person is engaged solely as a missionary. Can present convincing evidence of continued ties to the United States. When submitting proof, consider evidence that demonstrates your visit or project had a definite end, you intended to maintain ties to the United States, and you kept ties to the U.S. after departing. If you are a U.S. citizen domiciled abroad, you can submit Form I-864, Affidavit of Support, if you intend to reestablish U.S. domicile. You must be able to prove that you will return to the United States and make it your permanent home. 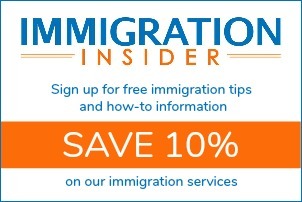 When submitting Form I-864, include proof that you will establish a domicile in the United States on or before the date of the intending immigrant’s admission or adjustment of status. For a list of examples and information about claiming U.S. domicile, read Reestablish U.S. Domicile When Filing Form I-864. What documents should I send with I-864 Affidavit of Support? Do I need to submit an original I-864 for each relative that is immigrating? When do my obligations under Form I-864 end?